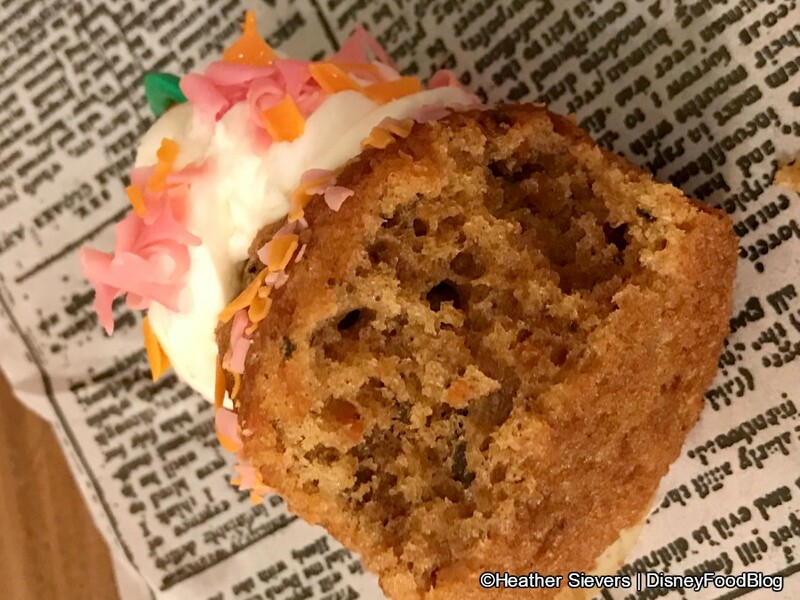 We recently visited with our Disneyland pal Heather (@DiningInDisney on Instagram!) 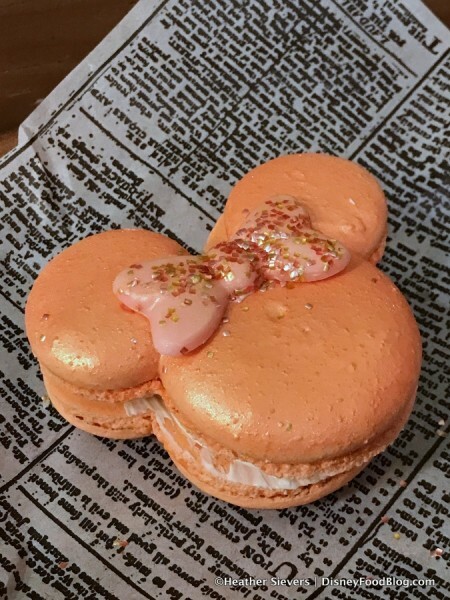 when she picked up the new Rose Gold Macaron (yup, we’re still eating rose gold everything — like the Rose Gold Unicorn Cupcake at Walt Disney World’s Gasparilla Island Grill!). 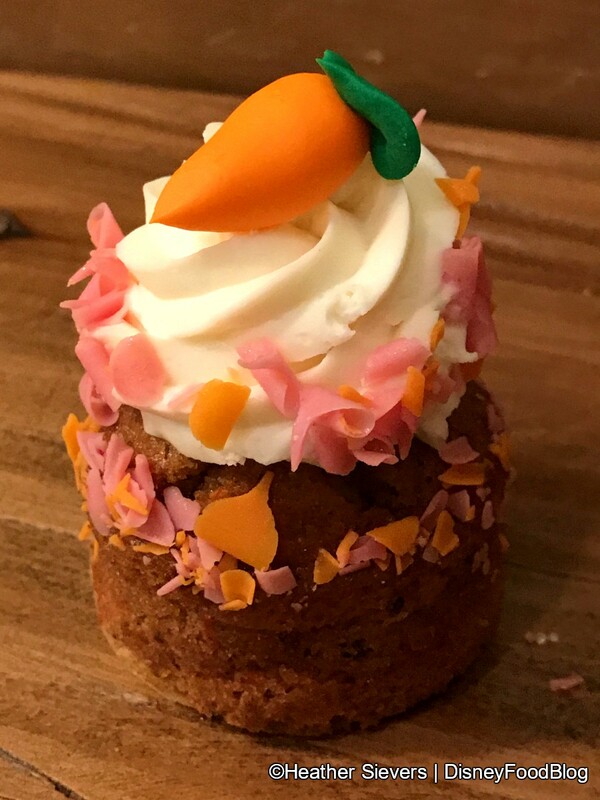 But today, we’re leaving the trend behind to eat a classic: a Carrot Cake Cupcake! These beauties are just $3.79, and Heather says they’re worth every penny! 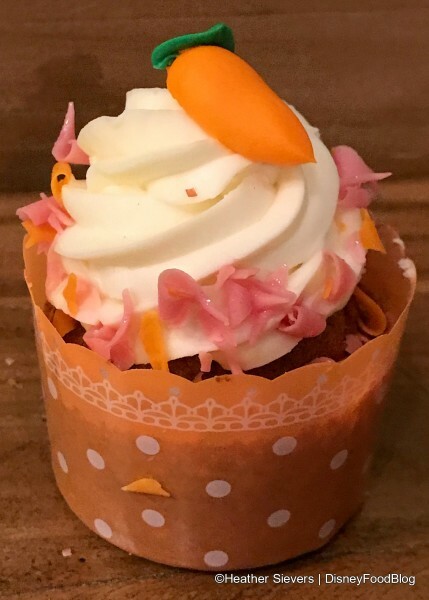 This Carrot Cake Cupcake is a spiced carrot cake cupcake topped with a generous swirl of cream cheese frosting, pink and orange white chocolate shavings, and a fondant carrot. 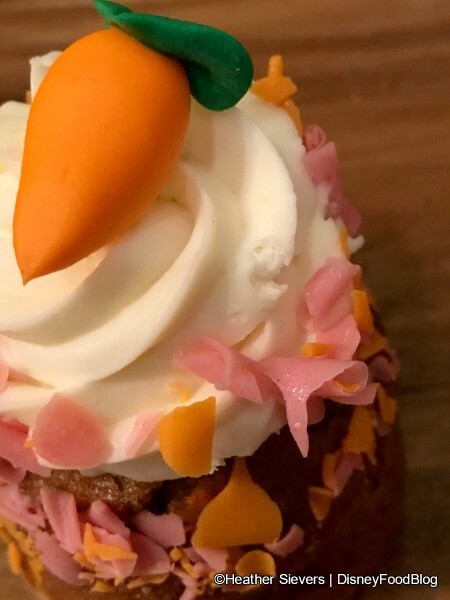 How cute is that carrot? Adorable and seasonally appropriate! The cake itself is airy and flavorful, a simple foundation for the simply delicious frosting! 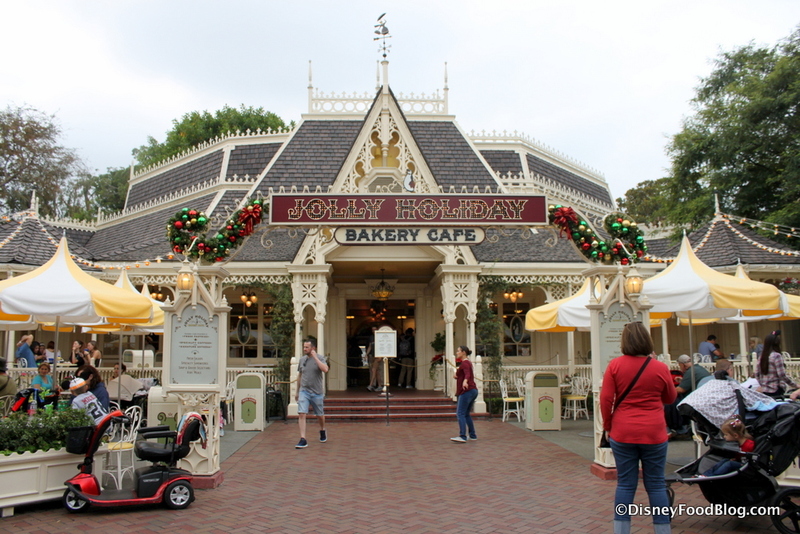 So good news: if you’re not looking to jump on any snack/Minnie ears/spirit jersey bandwagons, Jolly Holiday has the classics covered! See some of our favorites in the video below! 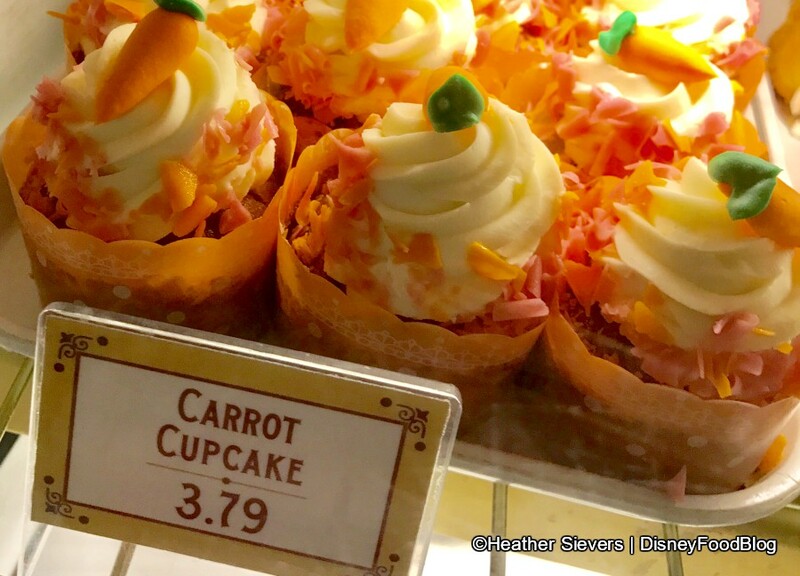 Are you a trend follower in Disney snacks or a fan of the classics? Tell us in the comments! 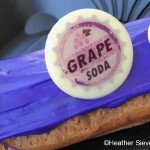 « Easter Eggs and Eats around Disney World! I would just love to visit this shop. I hope to get to Calif. someday. I loved the chocolate mint Whoopie Pie. It was a perfect ending to my lunch of a classic: grilled cheese and tomato soup. Makes me want to go back! 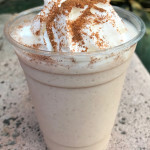 We had this today…it was amazing. It was the perfect size. The cake was moist and delicious, the the frosting was like whipped cheesecake- not too sweet. 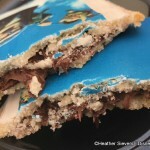 Finally, the frosting to cake ratio was awesome- these was more frosting than cake! I can’t wait to get back to Disneyland in October. Adore Jolly Holiday. 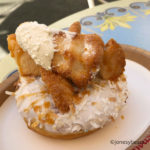 Always get a combo and a Matterhorn Macaroon, but I’m prepared to go back and try one of these later that day 🙂 Just so I can say I tried everything. And they are super cute. 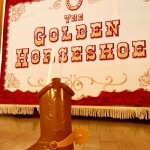 Hope they still have them!